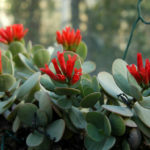 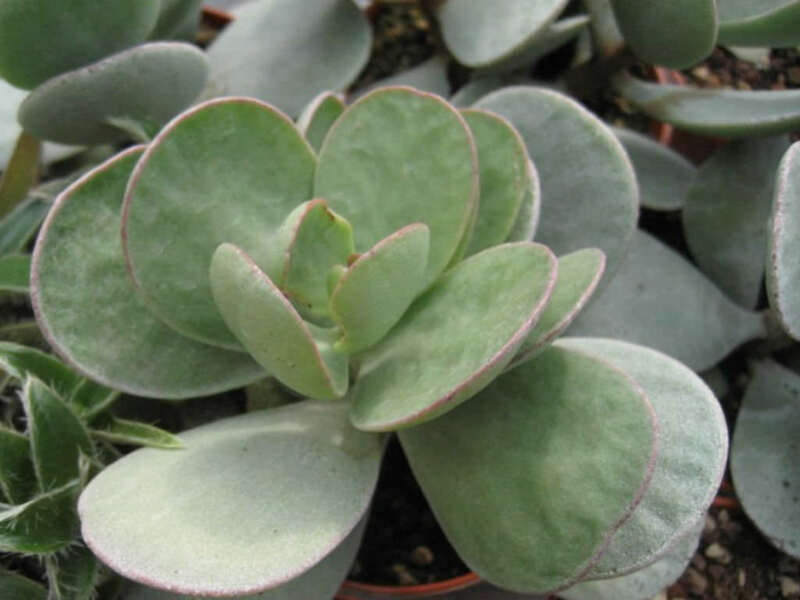 Kalanchoe scapigera is a small perennial succulent plant up to 18 inches (45 cm) tall, with thick, almost circular leaves up to 1.6 inches (4 cm) long and scapiform inflorescences bearing, salmon-red, tubular flowers. 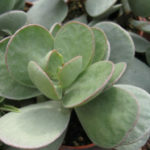 The stem is thick, slightly branched, cylindrical and somewhat lignified. 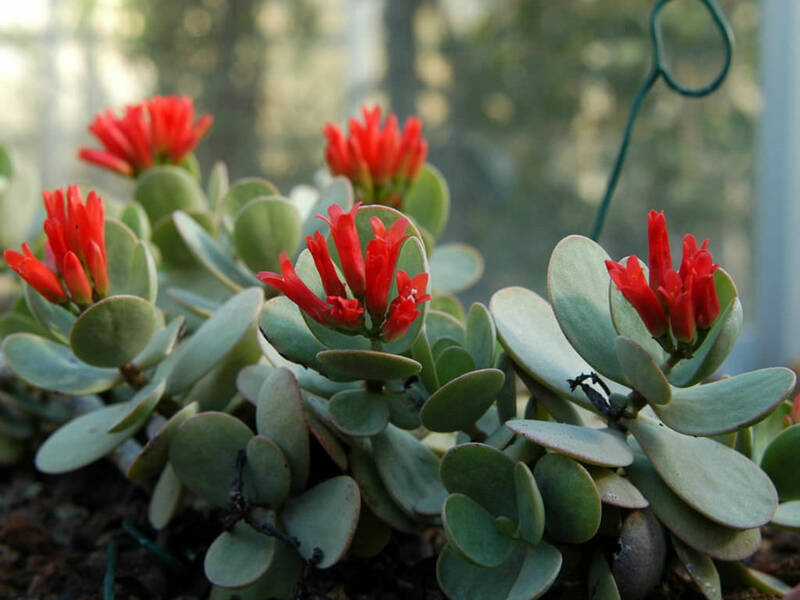 The whole plant is glabrous and covered with a white powder. 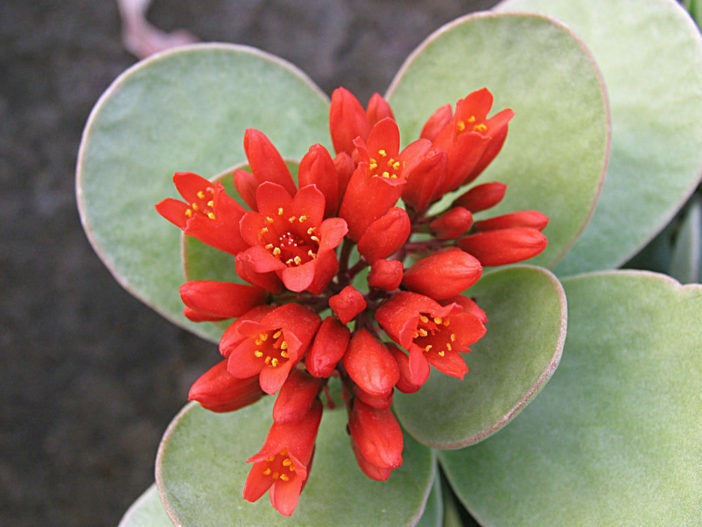 Kalanchoe scapigera is native to Angola (Namibe Province).